Manchester United kept up with the pace at the top of the Premier League with a 3-0 win over Burnley at Old Trafford. But it was not as easy as the scoreline suggests, with the Clarets holding the home side in the first period and having several decent chances themselves, notably from Steven Fletcher and David Nugent when the game was still deadlocked. But Dimitar Berbatov made them pay when opening the scoring after 64 minutes with a sublime finish which took a deflection off Michael Duff. 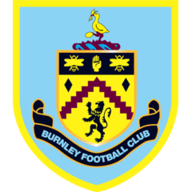 Wayne Rooney then doubled the advantage five minutes later when Burnley keeper Brian Jensen could only parry Berbatov's shot. Substitute Mame Biram Diouf wrapped up the points in injury-time when springing the offside trap to latch onto an Antonio Valencia through ball. Brian Laws was taking charge of Burnley for the first time and Old Trafford would not normally be regarded as an ideal fixture for a new manager to open their account with a win. Yet such is the negativity circling United just now anything seems possible, even for a team with just one away point from 10 games prior to kick-off and without a win on this ground since 1962. The vast majority of this week's headlines have concentrated on the growing debt at United and what will have to happen if the Glazer family are unable to meet interest rates on a £500million bond. Chants of "We want the Glazers out" from the Stretford End emphasised the debt mountain being carried by the Red Devils but there are also concerns about the strength of Sir Alex Ferguson's team. A first appearance on home soil since that dismal FA Cup defeat to League One Leeds offered an ideal opportunity to allay a few fears. Instead, concerns just grew. 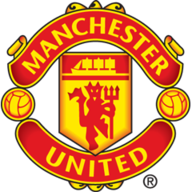 Although United dominated possession, it was not until the final minutes of the first half, when Nani's overhead kick was clawed behind by Jensen that the Red Devils looked as though they might score. Rooney worked hard as usual and had a couple of chances, while Valencia threatened danger from the right. Berbatov was again a disappointment though. He may now be a six-time Bulgarian player of the year but the 28-year-old remains an enigmatic presence. There was no sign of a knee injury as he rose to meet decent crosses from either flank that he could not direct on target and he lacked conviction when he tried to turn home a low Valencia ball drilled into the six-yard box. Gary Neville's angry reaction to a perceived lack of movement would not have done much for Berbatov's confidence either, although the dent would not have been as big as the one inflicted on United had Fletcher made more of the opening period's best chance on seven minutes. Eager to make an impression against his former club, Chris Eagles started the move with a precise pass to Nugent. Far too easily, the United defence had been completely opened up. Nugent lifted the ball over Neville and set Fletcher racing through on Edwin van der Sar, making his comeback after a 12-match absence. Fletcher went for the far corner but could only turn away in frustration as his shot rolled narrowly wide. There was no better example of the frustration surrounding Berbatov than the one just before the hour mark when he produced a brilliant piece of close control to turn onto Valencia's cross then, from six yards, drilled his shot wide when it seemed easier to score. If Nugent had made them pay immediately afterwards, United would have had no-one to blame but themselves. However, after latching onto Eagles' pass and outpacing Neville, the former Preston striker failed to find the target. It proved to be a costly miss as United immediately enjoyed their pivotal five-minute purple patch. First Berbatov's shot flicked past a startled Jensen off the base of Duff's foot to break the deadlock. Then Rooney collected the rebound after Berbatov had been denied by the Burnley keeper and, after taking a while to steady himself, eventually drilled home. Burnley substitute Steven Thompson hit the post with a header before Diouf nodded Valencia's cross past the onrushing Jensen to complete the scoring although by then, minds were even turning away from the debt and towards Manchester City and that blockbuster Carling Cup semi-final first leg on Tuesday. The United faithful will be acutely aware that much better will be required at Eastlands if Carlos Tevez is not to celebrate glory at the expense of his old club.